We are hiring! Join us November 27th and 28th for a job fair at the Lighthouse. See the flyer below or call (410) 465-2288 for more information. 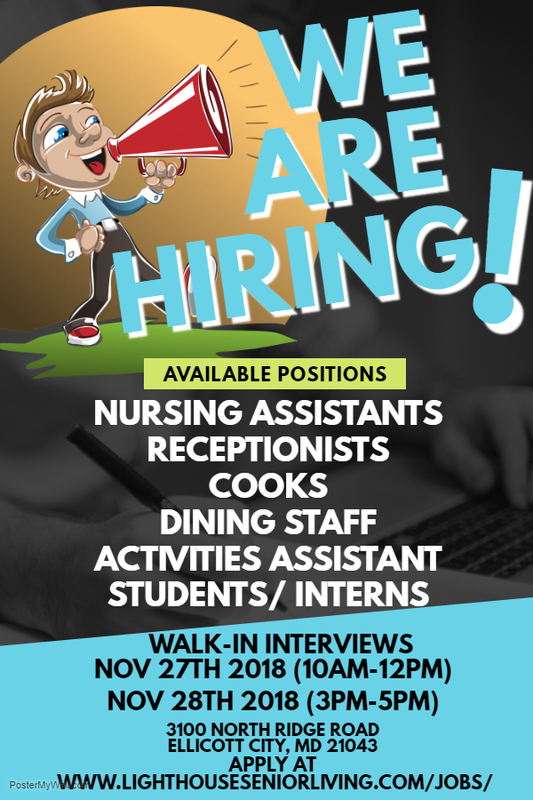 More information about openings at Lighthouse Senior Living of Ellicott City can be found at www.lighthouseseniorliving.com/jobs.